Good governance and discipline are key factors in business sustainability for iTaukei business owners. 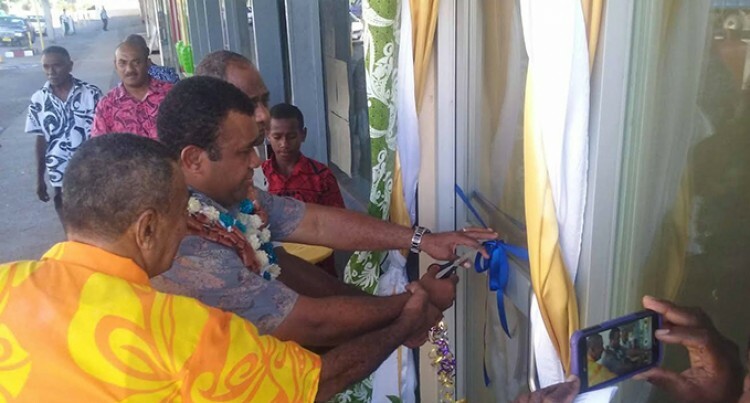 Ministry of iTaukei Affairs permanent secretary Naipote Katonitabua said this during the official opening of the Keasuna Company Ltd’s building extension in Sigatoka Town last Saturday. The investment, financed by Westpac bank, is worth $1.3 million. This financial partnership between Keasuna and the Westpac Bank Corporation began in 2015. “It is important to get the support of the vanua or mataqali and go forward with this business venture as such,” Mr Katonitabua said. Mr Katonitabua praised the business vision of the mataqali Keasuna. “Business will be tough at times, but we need to get our acts together for growth. We can achieve this too with practical venture in this mataqali Keasuna for moving forward and to move to another level. “The Government will also continue to support any venture designed with good governance and discipline. You have proved that business and partnership with the vanua is great. “An extension was constructed in late 2015 and the project was delayed because of Cyclone Winston and is now in the final stage of completion with fit-outs for new tenants being furnished,” he said. The majority of the tenants are government ministries and the building houses the Ministry of Employment, Ministry of Education, Department of Co-operatives, Ministry of Justice, Fiji National University and the iTaukei Land Trust Board. Keasuna Company Ltd is owned by mataqali Keasuna, of Yavulo Village in the tikina of Sigatoka, province of Nadroga. KCL is a liability company registered in 1994 by three directors’, the late Kiniviliame Vuira, the late Serupepeli Raidaveta, and the late Sainivalati Dobui. KCL primary business is in Real Estate and Property Management & Development located at Lot 5, Solevu, in Sigatoka Town. KCL owns two properties; the main building was acquired in 1994 worth $240,000 from Ranjit Singh Chaudhry who had migrated to NZ.